This product is a kind of irregular structure thermoelastomer without any crystals. 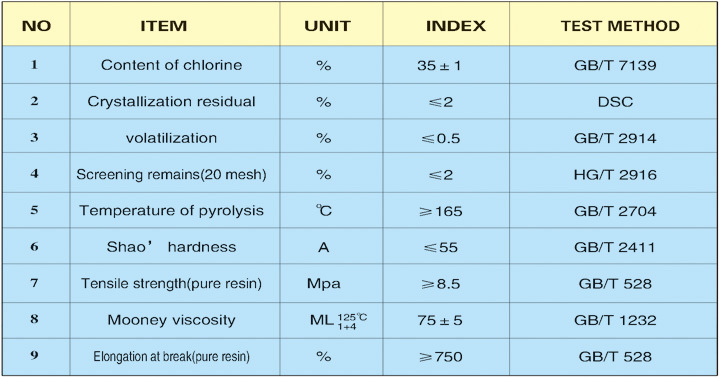 It has the characteristic of low plastic temperature, low ML viscosity, fine machining function, fine resistance at low temperature, fine heat resistance, fine deflection, fine fire-resistance, it can be mixed with CR, CSM, NBR, EPDM AND SBR at any proportion. This product can be used as special synthetic rubber, as well as modifying agent of synthetic rubber. 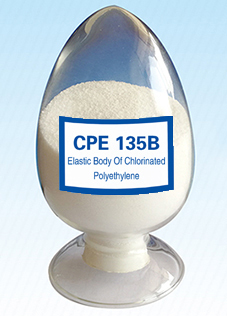 CPE 135B +(or NBR)+ cross-linking agent +other additive. Manufacture kinds of wire sleeve, sealing parts, conveyer belt, automobile rubber pipe and V-belt， etc. The above rubber can be shaped by general rubber equipment and technology.